Fans of those fighting in cages have not one, not two, but three shows to satiate their bloodsport palletes -- all of which are on free TV. 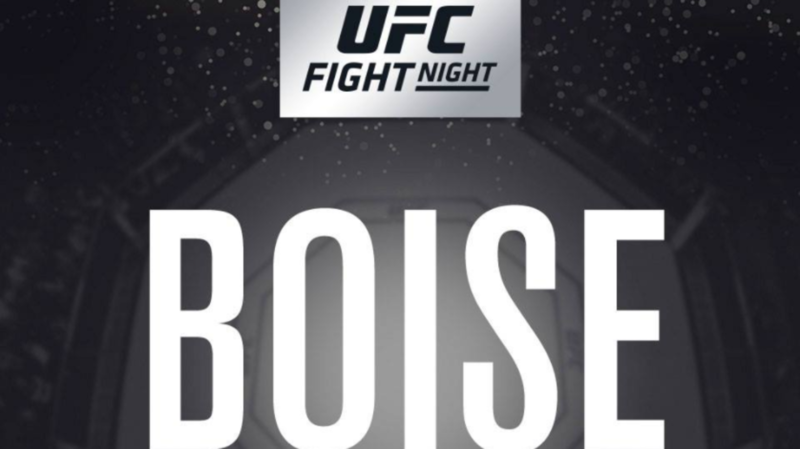 Action kicks off Friday with the first of two Bellator shows (yep, you read that right) and continues through Saturday with a pretty fun looking UFC show in Boise, Idaho, and Bellator running a hybrid MMA/kickboxing show overseas. We're still waking up from the intended return of Brock Lesnar and the events of UFC 226, but I threw cold water in the faces of Paul Fontaine and Ryan Frederick, propped them up, and asked them some questions about the weekend. Also, be sure to listen to the most recent (and free) edition of Josh Nason's Punch-Out featuring Jeremy Botter. Cheap pop! Paul: Saturday’s show is really deep, so I’m just looking forward to a great night of fights. This probably sounds odd considering my stance on last weekend’s show (and especially given how everything turned out) but this show, aside from the main event, is far bigger on paper. Four former PPV main eventers are on the card as well as five former world champions from other organizations. The one that really intrigues me, aside from the one Freddy already mentioned, is the Zingano/Marion Reneau fight. Reneau may be the most underrated female fighter on the roster and Zingano has looked really good in her fights, despite losing three straight. She’s also one of the few people to have ever beaten Amanda Nunes in the UFC. Josh: As a whole, the Saturday UFC show is aces for something on FS1. Lots of names, lots of litmus test fights, and intrigue up and down the card, at least to hardcores anyway. However, I am finding myself really into the Eduardo Dantas-Michael McDonald fight on Friday's Bellator show. These are two talented bantamweights and a nod toward some of the gradual depth that the promotion is starting to slowly add. Paul: "Super" Sage Northcutt! He’s got one of the longest winning streaks at lightweight in the company but keeps stepping up to welterweight where he usually loses. He’s been around for years so it’s hard to remember (until you see him) that he’s one of the youngest fighters on the roster at 22 and the youngest fighter on this card. But with increased training from Team Alpha Male, there is plenty of time for him to put it all together and justify all the hype that surrounded him early in his career. I’ve always got a sliver of hope that he could be one of those few fighters that break through as mainstream stars and he just needs to win the big fights. Ryan: The Friday night Bellator card has a good co-main event between Dantas and McDonald. I still firmly believe the UFC made a mistake with letting McDonald go as he's fun and action-oriented fighter. On the UFC side, I totally think the Elkins-Volkanovski fight is being overlooked. Elkins has a six-fight win streak while Volkanovski has won 14 straight. It’s buried down on the prelims, and I understand why since both have been shown to produce less than exciting fights, but it is a legitimate bout that has divisional ramifications. Josh: Other than McDonald-Dantas, it's hard not to look at Mendes-Jury and get excited. Before he left, Mendes was a top featherweight who famously got KO'd by Conor McGregor. Jury is one of the sport's enigmas: talented yet quiet. He seems to disappear so it's easy to forget about him, but with a more regular fight schedule, I think he'd be on more radars. The lighter weight classes are really coming to play this weekend. Josh: I don't understand why Bellator is doing two shows on two days instead of combining them into a more desirable event. Seriously, drop the kickboxing league, focus on MMA, and give us five solid fights once a month. That's all we need. Also, the Bellator titles need a bit of an importance boost, don't they? Ryan: I don’t hate the fight and I get why he is in the spot, but Northcutt should not be in a co-main event slot at this point, especially since there is some good depth on this UFC show. (Jury vs. Mendes should have got that honor.) Northcutt has made some good decisions in joining a legitimate training camp and there has been improvement, but he has a dangerous fight against Ottow. It should be opening the main card, though, because there are just better options there. Paul: Ryan is nuts...Sage should be headlining! That said, I’ll go with another co-main event: Alessio Sakara vs someone named Jamie Sloan for Bellator Saturday on a national network in a promotion that likes to think of itself as major league. I think that’s pretty sad. But when you look at the rest of the card, you can see why. I watch everything and I will watch this show but I have no idea when. Or why, for that matter. Paul: Rick Glenn, Jessica Aguilar, Blagoi Ivanov, Eddie Wineland and Jennifer Maia are all former world champions in other organizations and all fighting on Saturday’s show. That’s the intrigue for me: how will these champions in other companies stack up against some of the best in UFC and they all have tough matchups. Obviously, Wineland has been around forever and Glenn and Aguilar have had a few UFC fights, but Ivanov and Maia are complete unknowns unless you watch other MMA groups. Maia is the second rated women’s flyweight in the world according to FightMatrix.com and Ivanov has only lost to Alexander Volkov in his career and he’s a top five guy in UFC right now. There's so much on this show! Ryan: It's how the former title challengers compete on the UFC show. Dos Santos could be close to getting back into contention now that Stipe Miocic has lost the championship. Mendes has fought for the 145-pound title three times, and he’s only lost to Jose Aldo, Conor McGregor, and Frankie Edgar in his career. He was a top four featherweight at the time of his suspension, and if he comes back in top form, he provides a good and fresh challenge in a division that has changed in the 31 months since he last fought. Zingano has a win over the current champion, but has lost two straight. She’s fighting for the second time this year, though, something she’s never done in the UFC, and the four months since her last fight is the shortest time between fights for her since joining the UFC. I’m interested is seeing if she can get back towards the rematch with Nunes. Josh: The guys covered it fairly well above. If you're into MMA, there's something for you without too much barrier to entry. There are plenty of litmus test fights and yes, all of it's on basic cable. Huzzah! Ryan: Perhaps it will be one of those aforementioned former title challengers if they get good wins. I just see it as a weekend of fights with nothing particular worth rushing to the television to watch. While there are two title fights for Bellator, they aren't high profile. It should be a good weekend of fights. Paul: If Zingano wins, it could be about whether she could earn a title shot and a rematch with Nunes with one more win. If Nunes is indeed going to fight Cyborg in December, it would make sense to give Zingano a fight on that show as well and have her there as a stand-by title challenger in case either of them fall out of the fight. As the reigning Invicta FC champion, Maia could step into the top three of the UFC rankings if she wins her debut fight. And if JDS loses in the main event, people could be talking about whether or not he will retire. Of course, he won’t, but it won’t stop people from bringing it up. Josh: That Marion Reneau has earned herself a title shot, that JDS has a little more left in the tank, and Myles Jury is ready for a big name at featherweight. - Paul: Budd, Dantas, Pitbull; Rusev….er...Ivanov, Jury, Zingano, Glenn, and Super Sage.